Loveland Basin sits right on the top of the Continental Divide. As such, it's usually the first or second area to open for the year. The location of this year's first day of skiing. In reality, about 3% of this terrain was open! 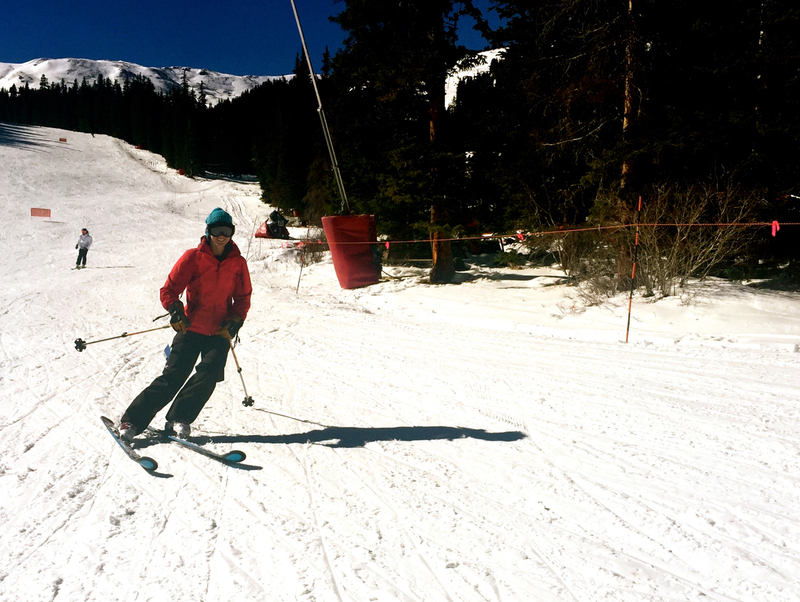 Today we decided to open the 2015-16 ski season proper with a day up at Loveland Basin Ski Area. We were fortunate enough to have a couple tickets given to us at a recent ski movie we went to and were both hankering to finally get on snow and start the year off right. We've made it a goal to ski the resort more this year. It's a necessary evil. Of my 150 days skiing last year, exactly two were at a downhill resort. I much prefer the backcountry to the crowds at the areas, but the truth is if you want to improve your skiing, you need the repetition that only the resort can provide (or, I suppose a helicopter could provide if you are Beyonce rich). As such, we've committed to trying to get up to the resort once a week this winter to keep the skiing skills honed. It's well needed. I was not as confident as I would have liked this past spring on some of the steeper descents. So today it was back to basics – good body position, weight on the balls to mid of the foot, hands up, relaxed and ready. Skied slowish, trying to feel every inch of the turn, building all the way through the fulcrum, and the rebound and extension to the next link. It was a turn-back-the-page 25 years type of day, when I'd make my way down the slopes of Sugarbush with my coach Al Hobart analyzing every movement, and offering feedback on how to get it better. And then Al would go ripping down after us, powerful, compact, smooth, all 55 or 60 years old of him, and we'd all be like…damn, I want to ski like him. 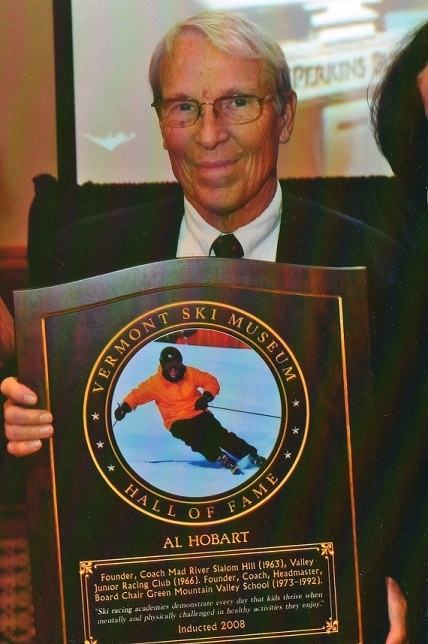 My ski coach in high school, Al Hobart. A great human and an incredible skier. Truth is, I only felt that really sweet sensation on maybe 20% of my turns today. The rest were kind of sloppy. There were maybe six or seven turns that felt downright good. Not bad, really, after essentially a year off the downhill skis and 18 months removed from ACL surgery. I'll take it, and we'll keep having fun progressing. I like the early season repetition and tedium of building technique back up…it's a ritual I've been doing for some time now and it feels like home. Day one photo from Loveland. Elaine's response to seeing this: "Great. I'm in the backseat, hands are in the gunslinger position and I'm caving." It's that time of year to be critical about technique and work hard to get it right. We kept it pretty short – a focused 120 minutes – as a result of being absolutely worked from a hard week of work (4 out of 5 late nights) and an overall groggy, exhausted feeling that, even with a double shot mocha, didn't ever go quite away. I'm looking forward to a return to a normal schedule and getting back in some sort of pattern. I did order a helmet tonight upon returning from the resort. We never wear helmets in the backcountry, but the resort is altogether too dangerous and random not to – especially when it's the white-ribbon-of-death early season. Goal number one for this season (any season really) is to stay healthy all year long – you don't ski when you're hurt badly – and the noggin is a good thing to protect. And so it's on, day #1 in the books. No skiing the next two days, but they are saying snow Wednesday and Thursday. Will it be enough to start building the base for local adventures? If not, we may have to do our semi-annual trip up to Bruce's Trail on Rabbit Ears Pass. After all, it's pretty hard to beat a couple days of nordic skiing, broken up by a trip to Strawberry Hot Springs! 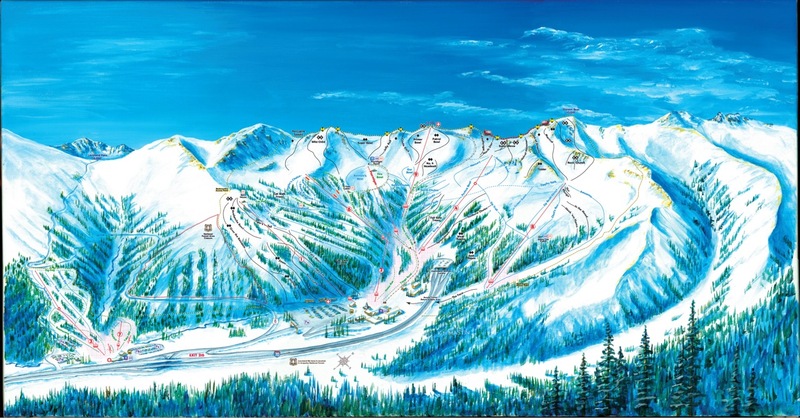 This entry was posted in Uncategorized and tagged first day, loveland basic, ski by nomadwolf360. Bookmark the permalink.